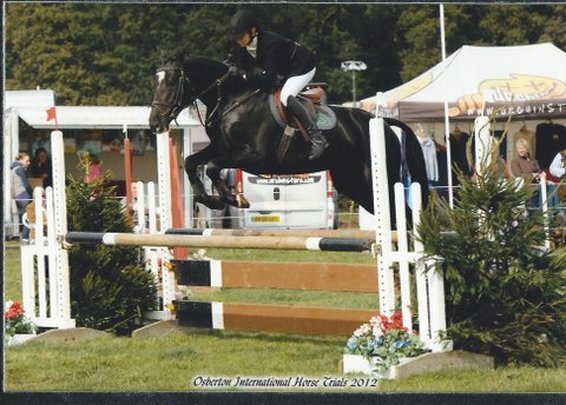 Purchased from France as a 3 year old, Jet is an excellent event prospect. He has plenty of ability and an excellent brain to work with. 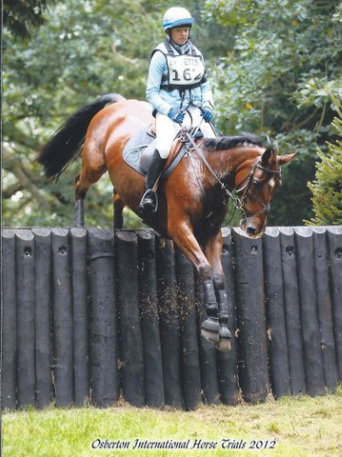 Tanya has produced Jet with the future in mind, he qualified as a 4 year old for the Eventing Young Horse Championships at Osberton in 2013 and as a 5 year old he finished the season successfully competing at novice level. After a very successful 2014 season as a 6yo (including countless placings at novice and intermediate) he was placed 6th at the British Eventing Young Horse Championships at Osberton and was selected for Le Lion d’Angers 6yo World Championships, where he finished a very credible 15th. Jet is now back competing again after an injury and is on form, placing 5th in the CIC* at Chatsworth. To look at Jet's BE competition record, click here. Tanya has competed Venus since 2010, producing her to 2* level. The plan has always been for her owner, Howard, to compete Venus, but because he lives in Hong Kong there has been little opportunity. In 2013 Howard had a great 2 weeks competing her, culminating in a double clear at CIC*. In 2014 Venus had yet another good year, with Tanya competing her at novice and Howard coming over from Hong Kong at regular intervals to compete her, finishing the season with Howard at Osberton CCI* with a double clear. In the last couple of years Venus has had many successful outings including plenty of top 10 placings with Tanya at Novice and Intermediate Novice, and clear rounds XC at both Chatsworth CIC* and Osberton CCI* with Howard. To look at Venus' BE competition record, click here. Purchased from Ireland as a 5yo after being very successful in the Stepping Stones to Success League, Emperor had a successful couple of seasons establishing at BE100 level. He was then bought by long-standing owner Howard Green for him to ride when he comes over from Hong Kong. In the meantime, Tanya has kept him ticking along and they have jumped successfully round some decent novice tracks, and completing Emperor's first CIC*. To see Emperor's BE competition record, click here.